Henley Royal Regatta, Rowing Courses, Henley Reach, Henley, ENGLAND [Mandatory credit; Peter Spurrier/Intersport Images] 2006 . HRR. ENGLAND 02.07.2006.Finals day. 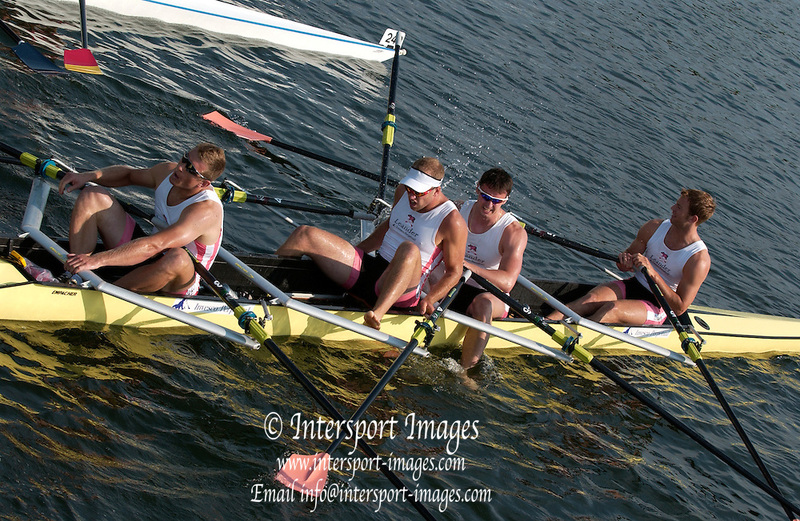 Men's Quadruple Scull Leander Club Ian LAWSON collaspes after the final Photo Peter Spurrier/Intersport Images email images@intersport-images.com Henley Royal Regatta Rowing Courses Henley Reach Henley ENGLAND 2006 . HRR.